Well, I guess it’s about time for me to admit that it’s almost autumn. I’m a summer person if there ever was one. I crave heat and the bright, light flavors of summer. Farmers markets attract me like a moth to flame, and I’ll eat pounds of berries if left to my own devices. Autumn has its merits too. Warm, sweet, spices, crisp apples, creamy pumpkin and sweet potato pies, and perhaps the most delicious holiday, Thanksgiving. BUT for now, we’re in the early moments of the pre-season, with leaves just beginning to turn golden. 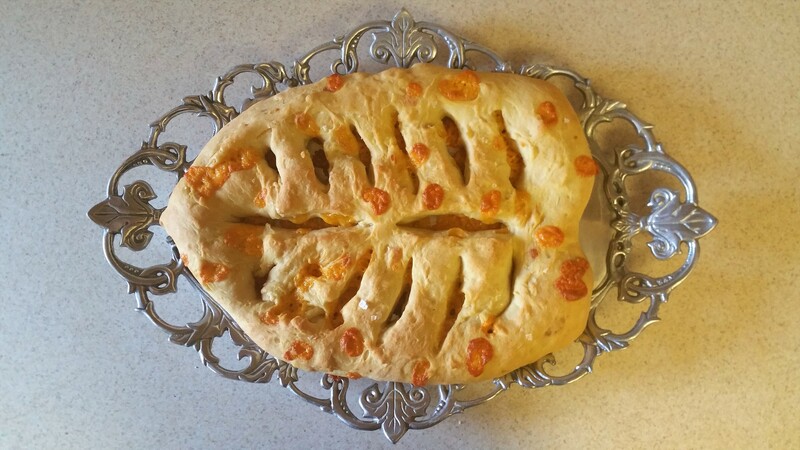 And for me, those warm colored waifs falling gently from the trees remind me of one of my favorite simple breads, a French flatbread that is a wonderful addition to any bread basket, the fougasse. 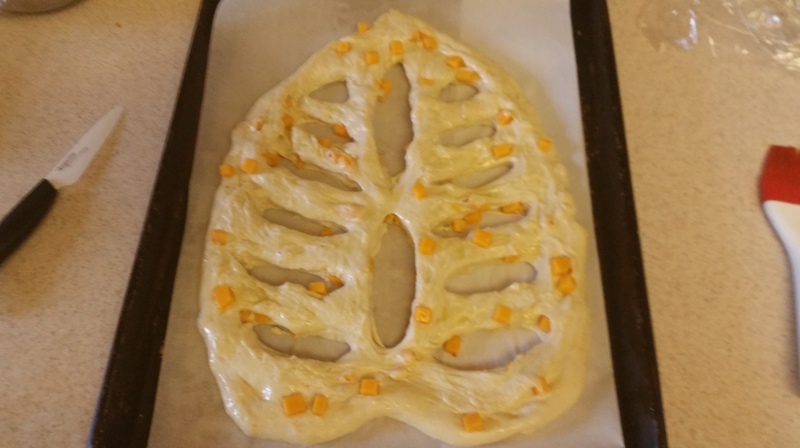 Fougasse is generally associated with the Provence region, but originated in Rome as Panis focacius, Roman flat bread baked in the ashes of a hearth called a focus. If these words sound familiar, you’ve probably heard of the Italian version, focaccia (which we have made and you can find right here). And like focaccia, fougasse is a blank canvas for all sorts of fillings and flavors, including nuts, olives, cheese and herbs. What makes it different is its unique shape, cut like a big, beautiful leaf or sheaf of wheat. 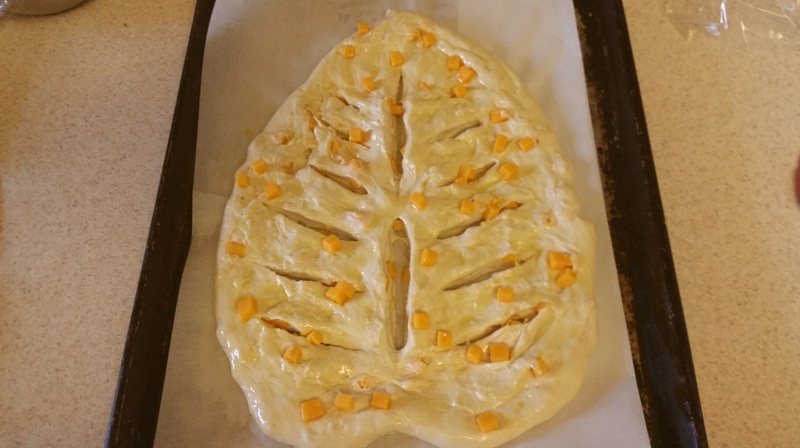 To make our golden, not-quite-yet-autumn leaf, I chose a simple cheddar fougasse, but you can amp this up with rosemary, oregano, basil, or whatever herbs suit you. 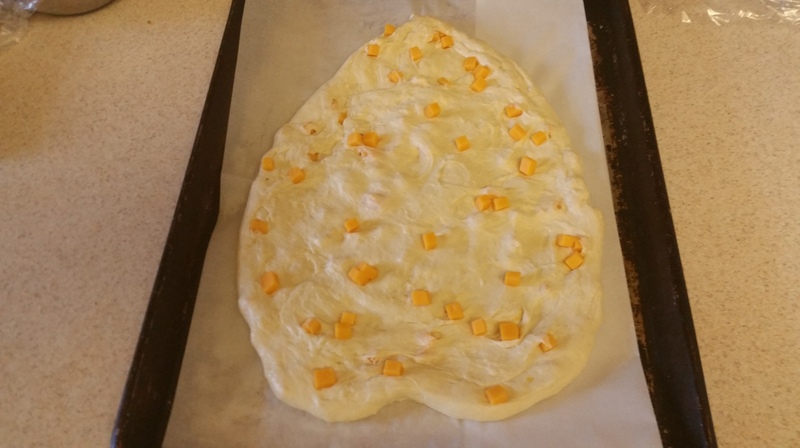 You can also swap out the cheeses, just be careful of balancing the salt in the dough with saltier cheeses like romano. You may just need to use slightly less. Combine all of the ingredients for the sponge and allow it to rest overnight, or for as much as a full 24 hours. After the resting period, stir in the remaining ingredients. 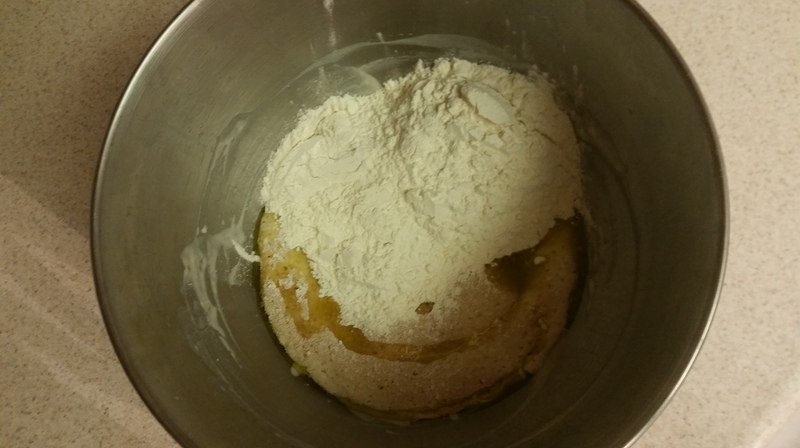 The mixture will look rough. 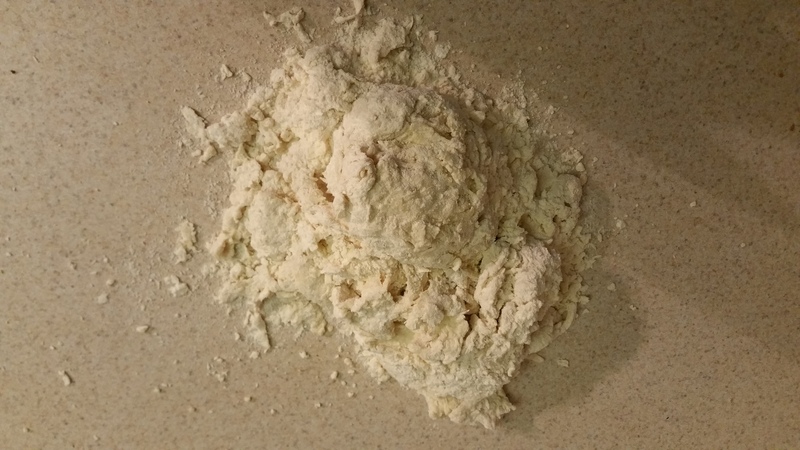 Bring the dough together and knead for 8-10 minutes, until a soft, smooth dough is formed. 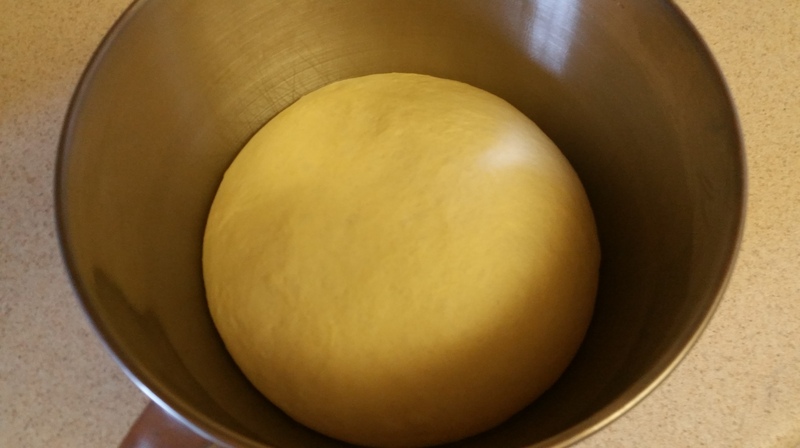 Roll the dough into a ball, place in a lightly oiled bowl, and cover the bowl with a clean towel or plastic wrap. 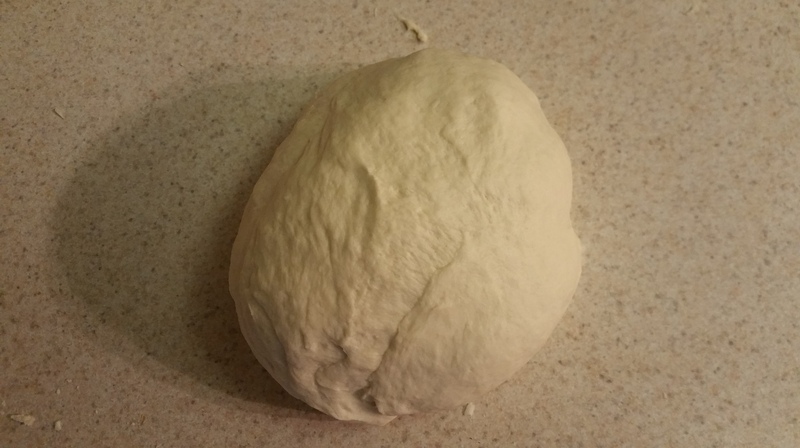 Allow the dough to rise until it has doubled, anywhere from 75-90 minutes. 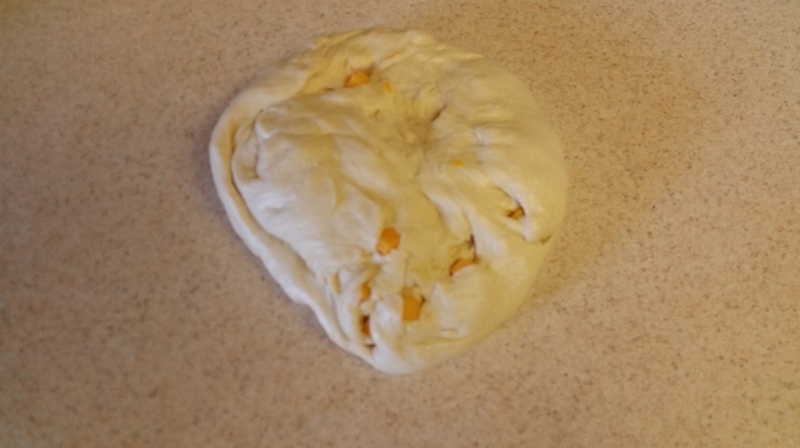 Turn the dough out on to a lightly greased surface, sprinkle on the cheese, and knead a few times to incorporate. Don’t worry if you lose a few cubes of cheese here and there, you can stick them on after shaping the bread. 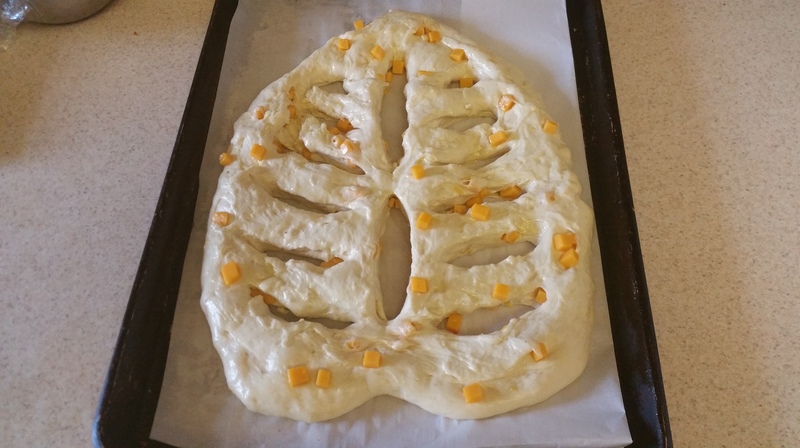 Form the dough into a leaf shape or a large oval about ¾ in. thick and then place it on a parchment-lined baking sheet. Brush it lightly with olive oil. Using a sharp knife, make decorative slits. I did two down the middle and six on either side, but it’s your leaf, make it to suit you! After slicing, gently pull the cuts apart so there is some space between them. Cover the bread with a tea towel or plastic wrap and let it rest for another 30 minutes. 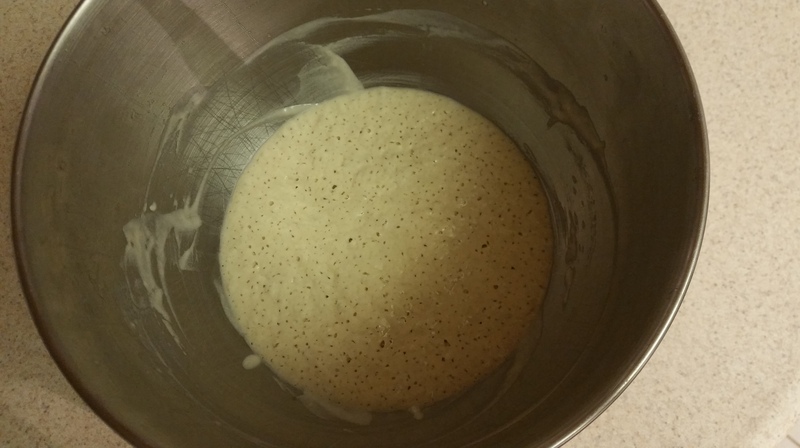 While the dough rests, preheat the oven to 450 degrees F.
Uncover the bread and bake for 16-18 minutes or until golden brown and hollow-sounding when tapped. Move to a wire rack to cool. With each changing season we invite in new culinary treasures, and this is a simple, yet beautiful one to put on your table and enjoy. No matter what your favorite time of year may be, these fragrant, crisp, golden leaves are sure to please.